Why not hire an agency to ensure that you generate the highest ROI (return on investment) through your social media marketing? Maybe you’ve already taken this step, and if so, let’s discuss the performance of your current social media agency. If you feel apprehensive about their authenticity, value, or contribution to your business, then it may be time to cut your ties with them. 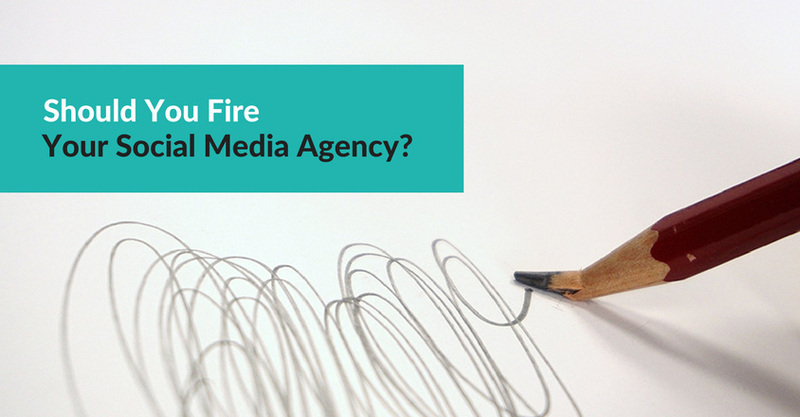 Here are six questions to ask when analyzing how your social media agency is working for you. Are they a good fit for your business? Whether you’re considering hiring a social media agency, or you’re reconsidering one that you already have working for you, it’s important to start with how they fit into your vision. They should be interested in understanding your business, niche, target audience, struggles, goals, and personality. You need to work with a company that feels mutually aligned. When the company you’re working with understands your business, they will be able to help you achieve the best results possible. You should expect your agency to ask the questions needed to embrace your brand and reflect it accurately through social media. Every company has their own style and specific needs, and it’s crucial that your agency treats you as an individual. Your social media agency should want to tailor a unique strategy that fits the specific needs of your business. Otherwise, you’re wasting time and money on things that don’t work or make sense in accordance to your plan. Some agencies will insist that you should be on every social media platform, but not every network will compliment your business. If they are using smart tactics that cater to your goals and target audience, then your social media agency will choose quality over quantity. It’s important to know who you’re diving into any relationship with, especially when it comes to your business. Don’t hesitate to ask the necessary questions to understand what exactly you’re paying them to do for you. The social media agency you’re working with should be realistic when it comes to their claims and promises. If something sounds a little too good to be true, or they aren’t transparent about their strategies, then it may be best to jump ship. Keep in mind that it is your marketing manager’s job to follow through with their objectives, but it is your job to oversee the process. Yes, you hired them to make your life easier, but never find yourself too busy to spot-check and approve what they’re creating for you. What your social media agency puts out publicly is a reflection of you, and your reputation depends on your awareness. Your social media agency should be welcoming to the idea of one-on-one time with you to talk about strategies, results, and new ideas. They should have great availability and communication, a desire to stay in-the-know about your business, and respect for your brand’s values and audience. Don’t place your company in the hands of someone who doesn’t have your best interest at heart. Are you both on the same page when it comes to goals and strategies? To stay on track when working with a team, it’s crucial that everyone is moving in the same direction. Your social media agency should ensure that you are not only aware but also fully understand the angle of their strategies. Does what they’re sharing with you make sense, or does it seem like they’re speaking a foreign language? It’s their job to break down how they plan to create results in a way that doesn’t overwhelm and confuse you. Don’t settle for an agency who insists that they’re the expert and that you won’t understand something because you’re not a marketer. If they care about you and your business, they will always want to consult with you before taking action. Be sure to have a clear understanding of how their social media marketing strategies complement your business. Do they have an effective process for monitoring and reporting? To be sure that your agency is functioning up to par, you will need access to what is and isn’t working. You shouldn’t have to ask for reporting – this should be a given. Also, keep in mind that this data is yours and that you should have complete access to any necessary information and results at any time. Only receiving a monthly or quarterly report is problematic because it leaves no opportunity for quick, strategic decision making. Another important aspect to focus on is what is it that your social media agency is monitoring? They should be interested in conversion metrics versus the number of likes and followers. The significant analytics are the ones that don’t just look good at a glance; they help you reach your goals. Your social media agency should make you aware of your KPI (key performance indicators) and be able to explain any increase or decrease in engagement. Are they running A/B tests or creating customer personas? No social media agency has a miracle solution to what’s going to work best for your business. Like most things in life, your social media strategy is developed through periods of trial and error. Your agency should be performing A/B tests where they try out two different versions of the same email, advertisement, etc. with only a small portion of your audience. This experimentation will lead your marketing manager to an option that outperforms the other, and this option then gets implemented to the rest of your audience. It’s essential that your social media agency is performing these types of testing strategies since they will help identify what marketing tactics appeal most to your audience. Another key method that they should be applying is identifying your customer’s general personas. By dividing your potential customers into categories of what they’d respond best to, you can essentially create different messages for different people. If your social media agency wants to see you succeed, they will help you understand how to engage with the various members of your target audience properly. Are they posting valuable content consistently? Whether you’re a creator, a curator, or a mix of the two, sharing great content is what will drive your audience to follow and interact with you. No social media marketing strategy would succeed without quality content posted on a regular basis. Be familiar with how your agency handles content creation and calendars for scheduling. They should be working to find the most suitable content and sharing options to reach your audience. Your content needs to provide value and serve a purpose. If it’s only there to boost your online presence by making your stream appear active, then you’re not going to have successful engagement. 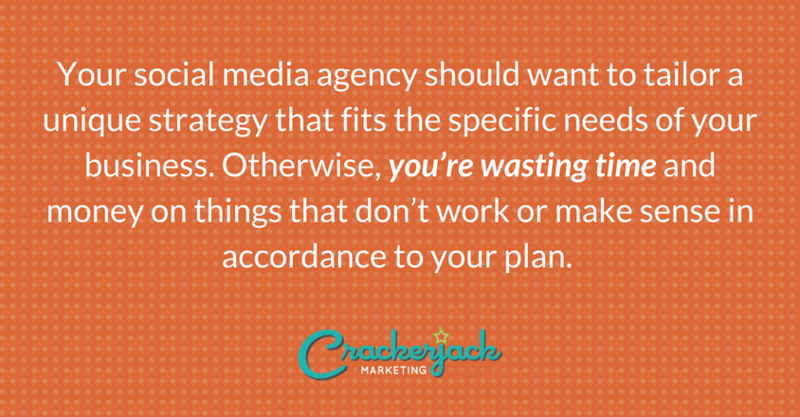 Your social media agency can schedule your content to post regularly, but their job is to keep track of what is and isn’t working. From here, the content sharing strategy for your business can be improved to ensure proper reach. If these six questions push you to reconsider the relationship that you have with your current social media agency, trust your instincts. Just because someone claims to be an expert doesn’t mean that they know what’s best for you or your business. Don’t be afraid to walk away from someone or something that isn’t helping you grow. Good tips. I’ve never had to hire a social media agency before (I do my own social media) but I’d imagine businesses often hire people to do theirs. So much good information here. I will keep this in mind if I ever decide to go with a social media agency. Thanks! How interesting. Sounds like great advice, though I’m certainly not at a point to pay anyone else for my social media stuff yet. Thanks for your valuable viewpoint. I have never thought about all the work a Social Media Company is suppose to accomplish. I would probably have sit back and let them do everything their own way. This post has shown me a lot of valuable information. Thank for this article…it says absolutely the truth! I work in online marketing myself (client side) and wherever I have worked, we always avoided agency pretty much for all the reasons you have just explained….plus they charge quite a lot as well to do something that can be done for half of the price in house. Choosing an agency in one of the hardest decisions for any company. When I first started I just couldn’t get the right agency. But in the last eight years, I have learned most of social media myself, and I help companies by training their social media personnel. Sometime the best experience is just jump in and do it! Social media presence is so important. I have seen too many companies fail at social media posts! So true! That could be a blog post in itself! i HAVE DONE THIS IN THE PAST. I decided I was better off doing it myself! 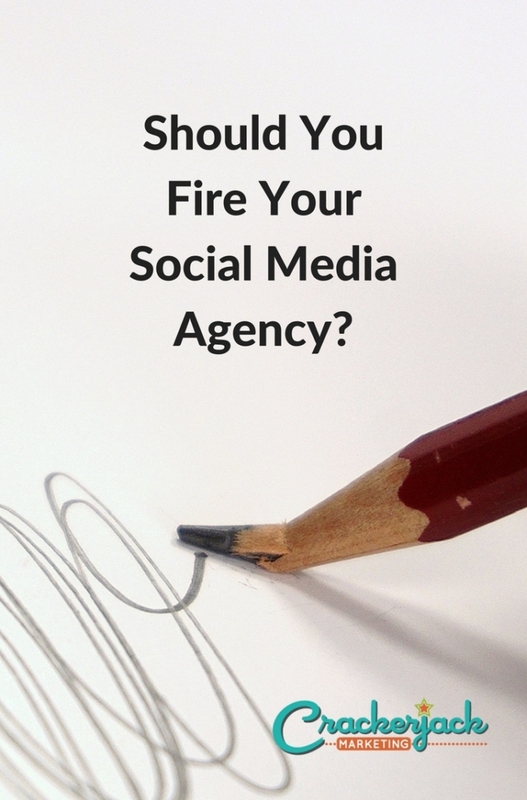 This is awesome information for those who have a social media agency. It is so important to make sure you are doing the right thing for your business and your customers as well. Thanks for sharing the information.